Medical Scientists Internationally are encouraging people to eat more fish. Fish body oil is the major source of the highly polyunsaturated omega-3's EPA and DHA. 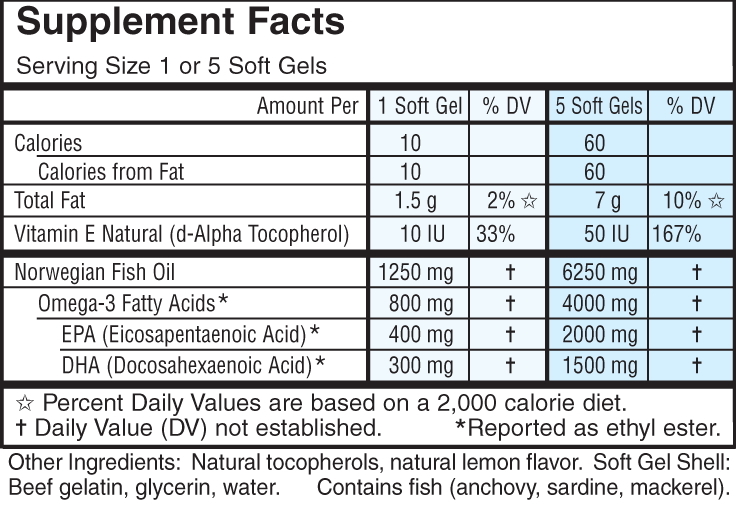 For those individuals who do not eat an oily fish diet, Carlson offers omega-3's in easy-to-swallow soft gelatin capsules. 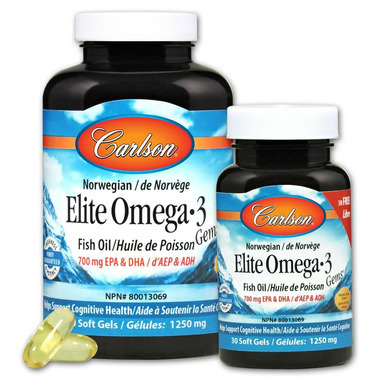 Carlson Elite Omega-3 Gems contain 1250 mg of a concentrate of fish body oils from deep, cold water fish which are especially rich in the important omega-3's EPA and DHA. This Carlson Lab product is regularly tested (using AOAC international protocols) for freshness, potency and purity by an independent, FDA-registered laboratory and has been determined to be fresh, fully potent and free of detectable levels of mercury, cadmium, lead, PCB's and 28 other contaminants. So very happy to use this product. It has helped with my husbands arthritis and my overall well being. I haven't felt this good in years and as this is the only change, I attribute it to the Omega 3!